After the success of two batches in January and March 2012 the third batch completed level one of the STORM (Scientific Training on Reptile Management) series of workshops. Students, professionals, researchers, snake rescuers and reptile enthusiasts made up the team and a common passion for snakes and reptiles set the tone. Standing back row: Dr. Suraj, Balaji, Frank Benjamin, HPR Prasad, Prajwal, Anne mathias, Sharath, Raghavendra, Ramprasad sampath, Anuroop, Akshaeya Ashok. ” it was a fantastic workshop, very informative and useful for all levels irrespective of whether they had any prior knowledge or experience with snakes. I have been rescuing snakes for years now and though I knew some basics, I felt the information shared was very useful and did not seem repetitive. I however felt that we should be given an opportunity to handle a venomous snake during the workshop” — Frank Benjamin, snake rescuer, Valparai,TN. STORM: Level Two : Captive Management of Reptiles, is scheduled for the 10th & 11th November 2012. 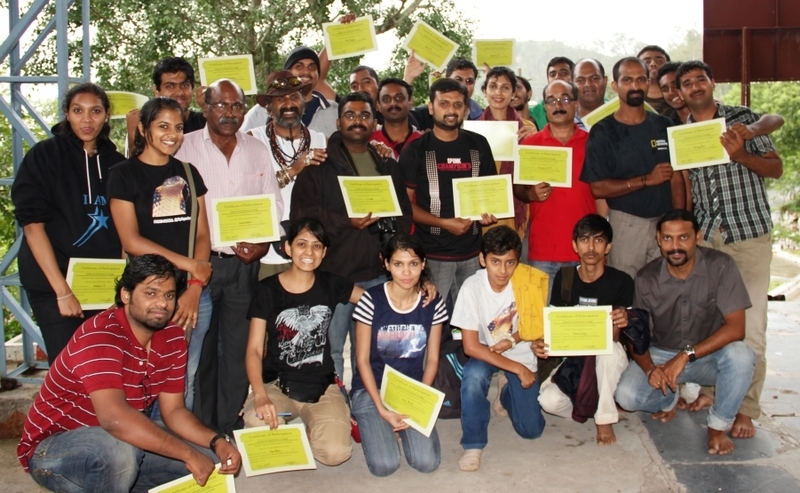 STORM: Level Three: Research Methodologies, will happen at Agumbe from the 28th to 30th December 2012. A fresh batch of the STORM series will begin from January 2013. Amazing work and rich repetoire of information with pictures,great work Gowri Sirand Team,I missed the Two earlier workshops in Chennai & Mysore but surely want to attend the upcoming one at Augumbe in the month of July 2017 please send me the Registration details. Thank you Balagopal. The workshop in Agumbe is a the next module of STORM i.e. we cover research methodologies. But STORM Level A is a prerequisite to attend the Module B at Agumbe. There is a STORM : Module A happening this weekend at Chennai, please see if you can make it.